Britain's Prince Harry took his girlfriend, Cressida Bonas, to a James Blunt concert in Notting Hill, London, on Monday night with his cousin Princess Beatrice and her boyfriend, Dave Clark. Britain's Prince Harry took his girlfriend, Cressida Bonas, to a James Blunt concert. The 29-year-old royal and the blonde socialite joined his cousin Princess Beatrice and her boyfriend, Dave Clark, to watch the singer's intimate one-off gig at the Tabernacle in Notting Hill, London, on Monday night. The prince dressed down for the occasion in dark chinos and a knitted jumper, while his lover opted for a patterned jacket and flared jeans. Princess Beatrice ? who introduced Harry and Cressida to each other 18 months ago ? appeared to be a huge fan of the You’re Beautiful singer as she sang along with him during the show to promote his new album, Moon Landing. The young royals have been spending a lot of time together recently and Beatrice ? who’s the daughter of Prince Andrew and Sarah, Duchess of York, and granddaughter of Queen Elizabeth ? and Cressida were spotted enjoying a nice lunch together in Kensington, London, last week. 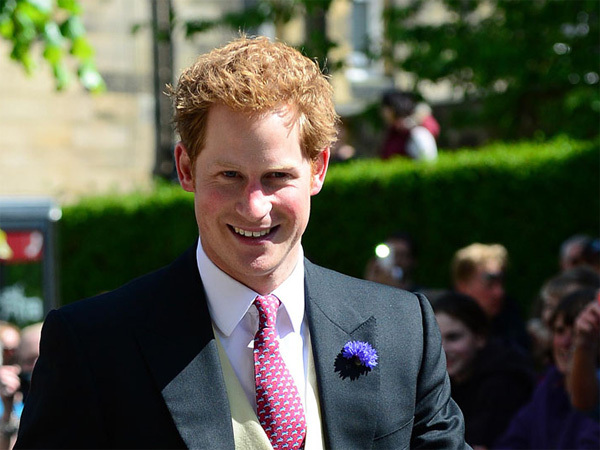 Meanwhile, Prince Harry is reportedly close to asking Cressida to marry him as he’d allegedly like to tie the knot with her as early as next year.